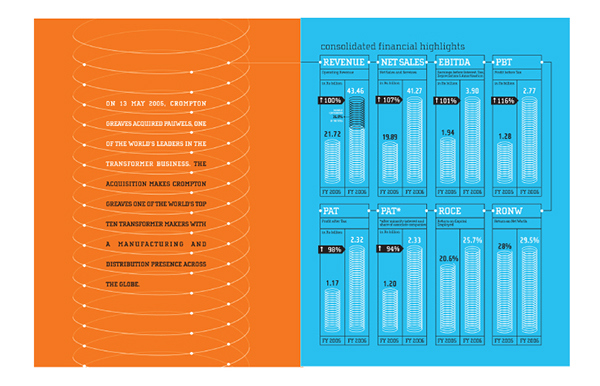 Crompton Greaves Annual Report 2005-2006 cover and contents pages highlights the company's core area of business – manufacturing electricals and industrial parts. An example of treatment of the financial pages where the graphs are represented as stacks of electrical wires. 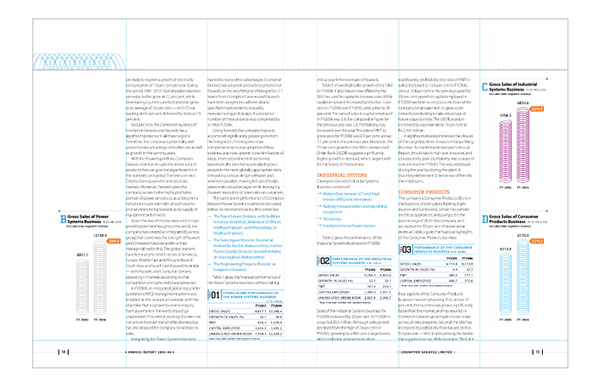 An example of the non-financial pages showing the use of grid and graphic elements along with the treatment of information. 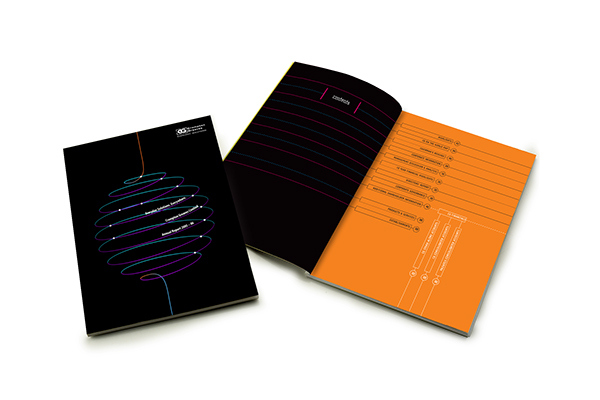 Crompton Greaves Annual Report 2005-2006 was a design approach where all the information data and graphs were represented in electrical wires.